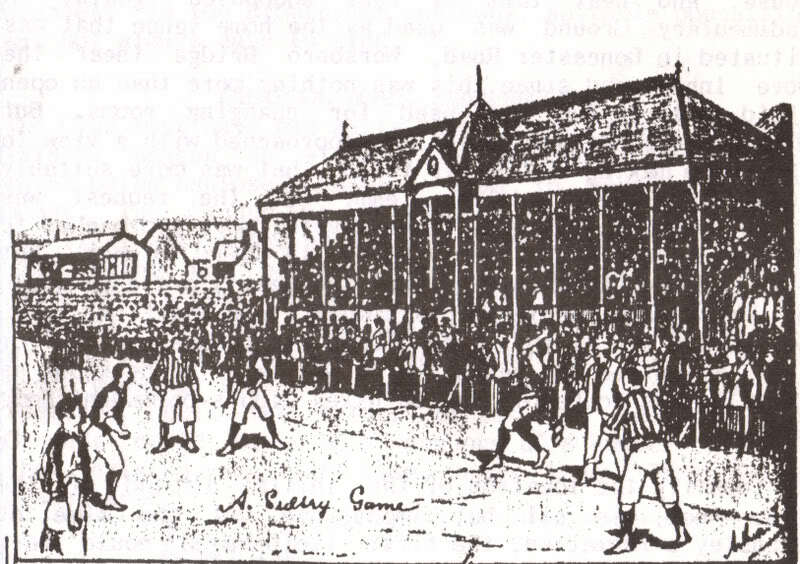 Aston Villa v Liverpool 2-3 (Friendly: November 14, 1892) – "Play Up, Liverpool"
Match: Friendly, at Perry Barr. Aston Villa – Liverpool 2-3 (0-3). Referee: Mr. Ford (West Bromwich). Aston Villa (2-3-5): Willie Dunning, Arthur Wollaston, George Russell, Frank Burton, James Cowan, Arthur Stokes, Albert Brown, George Davis, Charles Hare, Dennis Hodgetts, Lewis Campbell. Liverpool (2-3-5): Sydney Ross, Andrew Hannah (C), Duncan McLean, John McCartney, Matt McQueen, Malcolm McBride, Thomas Wyllie, Jock Smith, John Miller, Malcolm McVean, Hugh McQueen. The goals: 0-1 McVean, 0-2 Miller, 0-3 H. McQueen, 1-3 Campbell, 2-3 Davis. Imaged was found at the website for the history of football in Birmingham. Hi Kjell, great idea for a site and thanks for linking through to my site. Could I ask a small favour though? Could you change the linking text from: (at this “website”) to (in an article about “the history of football in Birmingham”) just for SEO purposes. Thanks a lot. Hi Jack. Thanks for the kind words. I have change the text now as you suggested.